It was a very exciting and busy time for the VetMeasure team last week! Mallory, Director of Operations, has been working with VetMeasure since 2016 and flew into Iowa from Colorado. The trip was jammed packed, and our team in Iowa was thrilled to have her here. Product Design Review – Our engineers led us through a comprehensive design review of MeasureON!. We are getting one step closer each day to going commercial with MeasureON! and our team couldn’t be more excited. IVMA Meeting – VetMeasure met with the Iowa Veterinary Medical Association (IVMA). 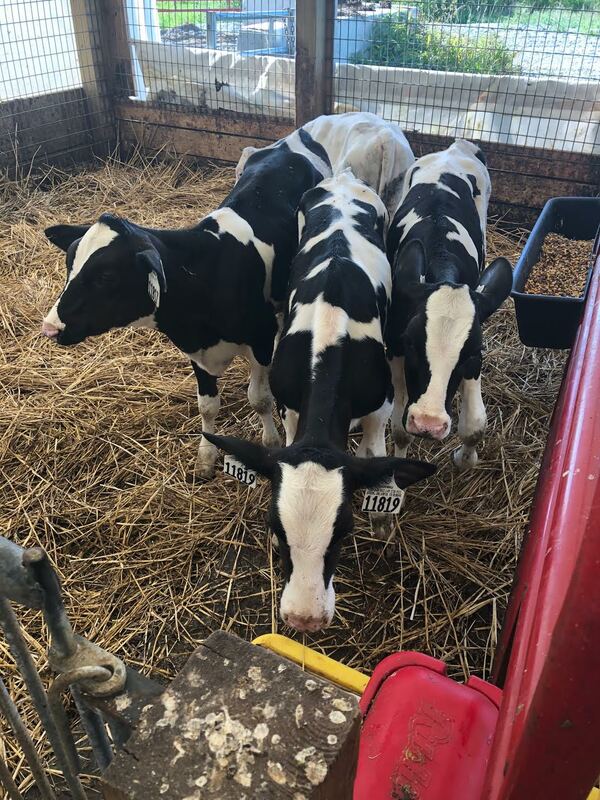 VetMeasure is always reaching out to our roots in IA and CO, and it is imperative to get the local veterinary community involved in our soft launch phase. Veterinarians are imperative in keeping pets healthy, and VetMeasure has made it our top priority to support the vets by making dogs easier to monitor and potential health issues easier to identify. Check out what metrics MeasureON! monitors HERE. Team Dinner – Following the IVMA meeting, our team met for dinner. During this time, we were able to talk about the exciting things happening with VetMeasure, and we also were able to connect and learn more about one another. 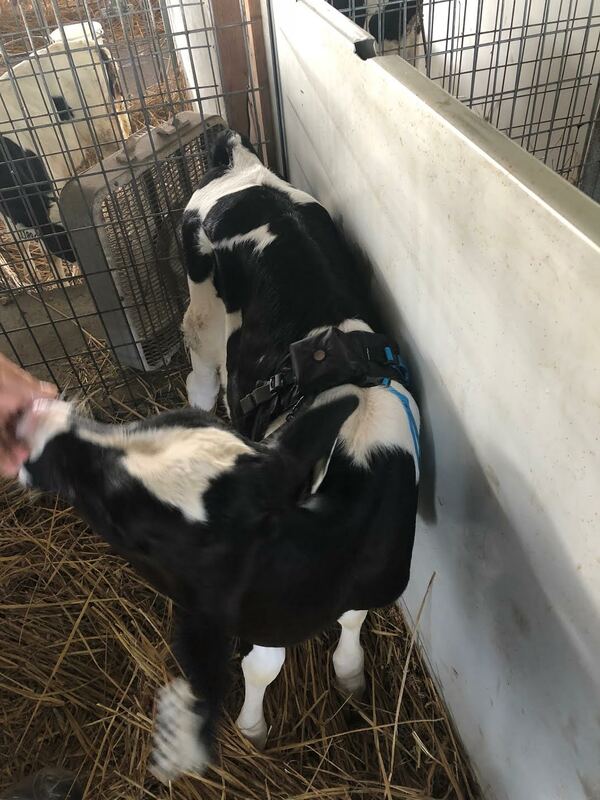 A trip to the Dairy Farm – The last, but (definitely) not least task we completed with Mallory in town was visiting Iowa State University’s dairy farm and testing the harness on dairy calves. That’s right, MOOOve over canine, bovine want to experience MeasureON! too. As an animal health technology company, our team strives to have a positive impact on animal health and treatment options. For any further questions about what we have been up to here at VetMeasure, feel free to contact us. Our team would be more than happy to speak with you! For more information regarding the benefits our product has for veterinarians, click here.